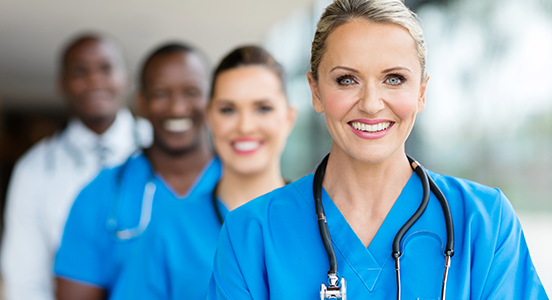 Leaders are change agents, and all nurses are leaders at some level – whether it entails persuading patients to take the steps needed to regain or maintain their health, being a mentor and role model to less experienced nurses, or working as a nurse manager. Everyone can benefit by developing their leadership skills, and it is essential for advancing your career in nursing. The need for strong leadership in nursing is taking center stage in discussions around moving the profession forward and meeting the global goal of universal health coverage. “You know your patients, and you know their needs, and you have to be involved in health policy at every level,” emphasized Anette Kennedy, President of the ICN, in her end of year message for 2017. A leader is someone who can effect change by inspiring and empowering others to work towards accomplishing individual or organizational goals. Good leaders have qualities such as positivity, flexibility, and strategic vision. They can solve problems as well as communicate and delegate effectively. It is never too early to start developing your leadership skills. These skills can be learned and developed, contrary to the popular belief that leaders are born and not made. One of the characteristics of great leaders is a high level of self-awareness – they know in which areas they are strong and where their weaknesses lie, as well as what their most effective leadership style is. Everyone has certain natural abilities as well as skills developed over their lifetimes. Everyone also has weaknesses. Self-examination will help you to identify the strengths that you can use to your advantage as well as the weaknesses you can consciously work on to improve. Consider the people in your life who you feel are excellent leaders (managers are hierarchical heads, but they are not necessarily outstanding leaders). What qualities make these people leaders? Which of these qualities do you possess and what are the areas you could work on? There are also many questionnaires and exercises on the web that can help you with self-analysis. For example, you can take a quiz to identify your current personal leadership style, which will also give you an indication of where you need to develop your abilities. Active reflection is probably the most effective learning tool for skills development. Start a journal in which you reflect on incidents at work – write about situations that you managed well, and why, and also those where you could have acted differently. Think about what behavior would have been more effective. When you think about effective leaders, you don’t get a picture of grumpy, complaining and rude people. Inspirational leaders are passionate about their work, and if their plans don’t succeed at first they will try again – their positive attitude attracts people, and their passion becomes infectious. Always aim to be the role model that you would follow. Be enthusiastic about your work with a “can do” attitude, even in difficult situations. Go the extra mile when needed – you are get noticed and earn respect when you do more than what is expected of you. Use initiative and attempt to solve problems before you hand them over to others, and even come up with suggestions of how things can be improved for everyone in your working situation. People follow those in whom they sense a high level of integrity and authenticity – those you “walk the talk” and that they can believe in. Live out your morals and values – do your work according to the highest possible professional standards, be honest in all things, deliver on the commitments and promises you make, and accept personal responsibility when you make a mistake. Avoid taking things personally or making assumptions without first determining the truth. Leadership goes hand-in-hand with being an outstanding communicator. You cannot achieve your goals of motivating, guiding, influencing and persuading others without communicating well and creating real personal connections. Develop your skills in both spoken and written communication and never forget that communication flows in two directions. An important part of communication is listening – really listening to what the other person is saying, to show that you are interested in them and their opinion, and also picking up on their non-verbal cues. Extensive knowledge which can be mined to come up with ideas and solutions are the key to the vision, innovation and critical thinking of great leaders. They can identify opportunities or foresee problems and threats before they arise, and plan strategic action. You not only need to keep up with the date with changes in your field of expertise but also to grow your knowledge on a wide variety of topics related to the world around you. Offer to help with tasks and projects that will help you to expand your skills. Use opportunities to attend continuing education workshops, seminars, and conferences. Have discussions and ask questions, from anyone and everyone, to get information and to learn about different perspectives. Read continuously and widely. 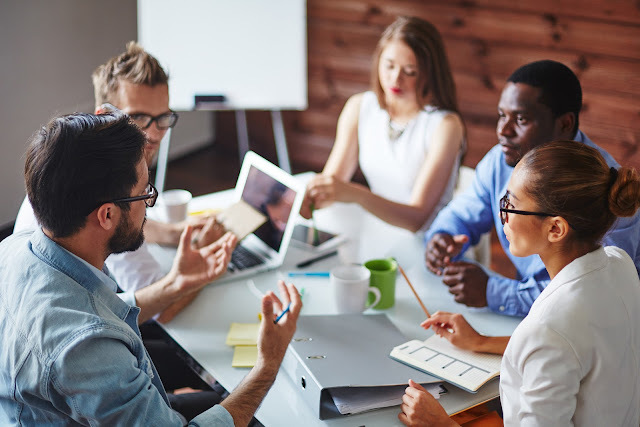 Active membership in organizations – whether nursing organizations, student bodies or those dealing with community issues that you support – provide many opportunities for leadership development. You can expand your knowledge and insight about issues affecting the profession or your community and learn how leaders approach advocacy, activism, and lobbying. Grab any opportunity to serve on committees as this will give you many different experiences in a leadership role. Being active in organizations also provides you with the opportunity for networking – meeting and building relationships with a variety of different people with whom you can share your ideas and vision. These connections can offer valuable feedback and advice as well as provide you with motivation and support.